Led by Executive Chef Aldo Avilez, our culinary team has created a modern American tavern menu, made with fresh, local flavors and ingredients, robust flavors, and a seasonal perspective. Each day, the team starts from scratch to deliver authentic, delicious offerings that are enhanced with Chef Aldo’s special selections and holiday menus. The historic building that houses Virtue Feed & Grain was once a feed house in the 1800s, bordering historic Wales Alley. 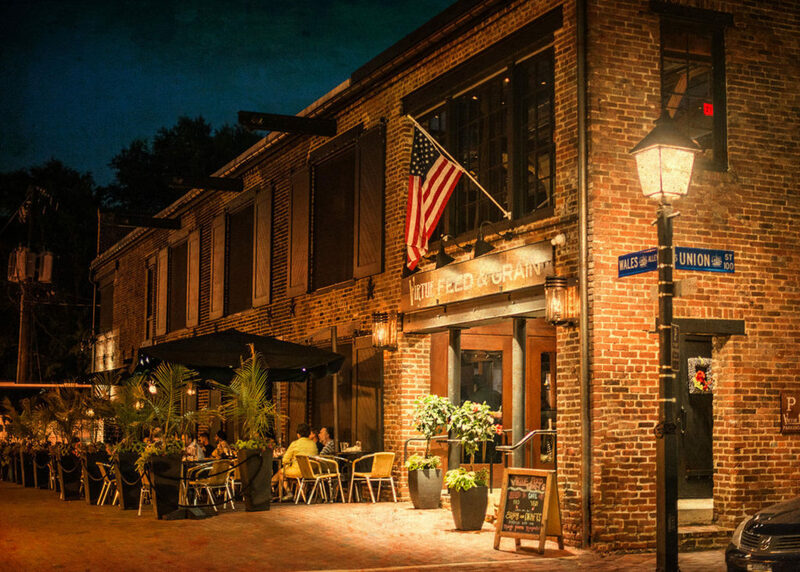 A former Alexandria Mayor, Irishman John Fitzgerald, shared ownership of Wales Alley where beer was sold as early as 1786. The alley was named after the brewery owner, Andrew Wales, and today Mr. Wales is memorialized with a special cocktail on our menu. 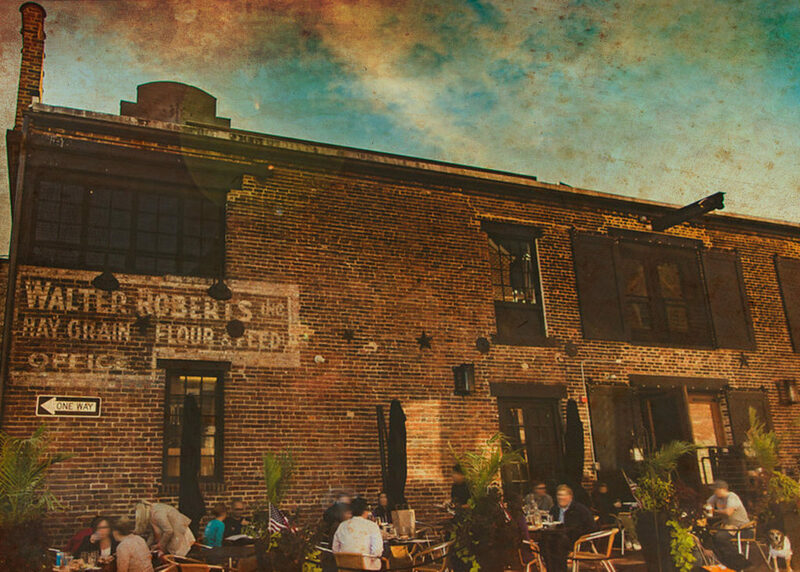 With re-purposing the building into the restaurant and bar, the name ‘Virtue Feed & Grain’ emerged from the hopeful intentions of those who thoughtfully and virtuously restored and reclaimed a piece of history. 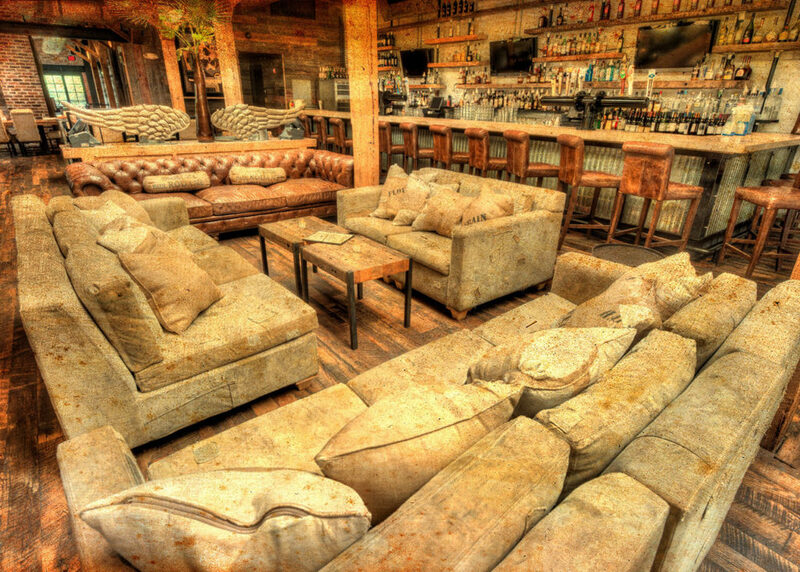 Adding in a play on ‘feed and grain’ from the warehouse era lent itself nicely to define our modern American tavern. The current interiors of Virtue Feed & Grain show remains of the past as well as signs of more recent years’ history – including the high-water stains marked by Hurrican Isabel in 2005 on the lower level floor beams. In keeping with the unique history of the building and alley, in 2011, the current owners worked with Bonitt Builders, Paul Beckmann/Bartzen + Ball Architects, Decorium Design and artist Andre de Moller to restore and reinvent the old warehouse and former Olsson’s Books and Records store, which had begun to deteriorate over time. Bricks were removed to create the expansive windows and re-purposed to create pillars and a dividing wall. The original concrete floor was carefully ground and polished to preserve history’s footprints. 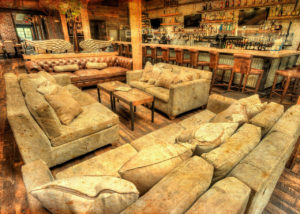 Various areas of the restaurant were constructed using reclaimed/antique wood with unique origins: the upstairs flooring material came from an old oak barn in the Wisconsin Dells, dating from the pre-Civil War era; the wallboards that wrap interior walls are from a Victorian-era Amish barn in Sturgeon Bay, WI; and the old Seaport Restaurant (now a Starbucks on King and Union Street) supplied the large ceiling beam that supports the large cubist painting. Wired, wavy glass panes reclaimed from a pre-WWII military supply house in the Delaware Valley, refurbished and used to fabricate both bars. The stair treads from the bookstore were salvaged-hand planed, and sealed to make tops for dining tables.